Appreciate the chuckle - is it just me or are professed Catholics on the whole becoming even more puritan and protestant and humourless as we speak? 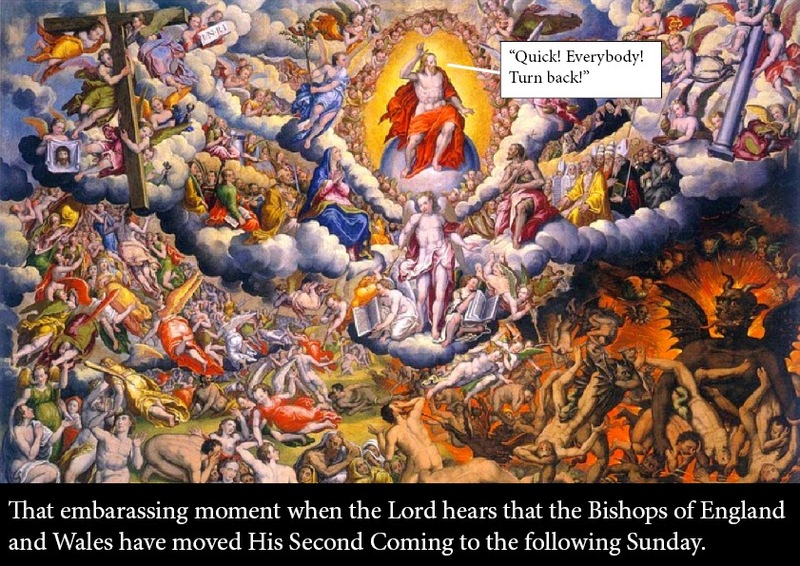 If the ecclesial eugenicists remain hell-bent on 'updating', it's entirely possibly that they will be so rankled by the inconvenience/inconsideracy of Our Lord's Second Coming that they will be convening a syond to update Him even as we are all being called to go goat-side or sheep-side at His command. Psalm 73: 8 They said in their heart, the whole kindred of them together: Let us abolish all the festival days of God from the land.